Goman’s organization includes an efficient technical / commercial R&D with a specialized staff who develop technical drawings DWG. Our advanced information system gives the necessary assistance to the development of any project. Thanks to a full DWG library we can provide 3D projects, according to customer specifications and/or designer. 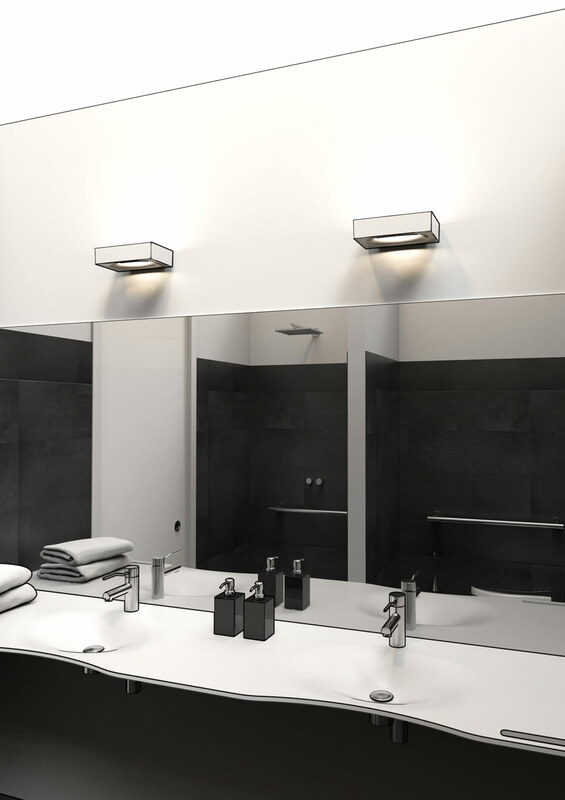 We can suggest the most appropriate solutions according to existing spaces even with HD rendering and presentations/offers with lifelike accurate images and related to the specification texts. Contact us for any need, our experienced staff is available! 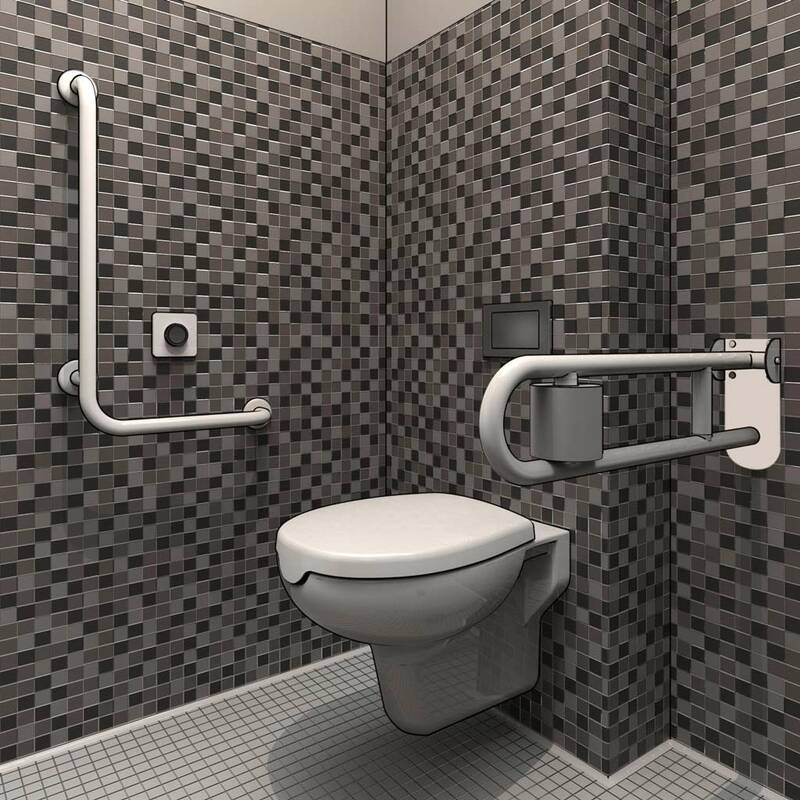 The different types of disabilities and the different needs of users give the requirement to customize parts of the house including the bathroom. 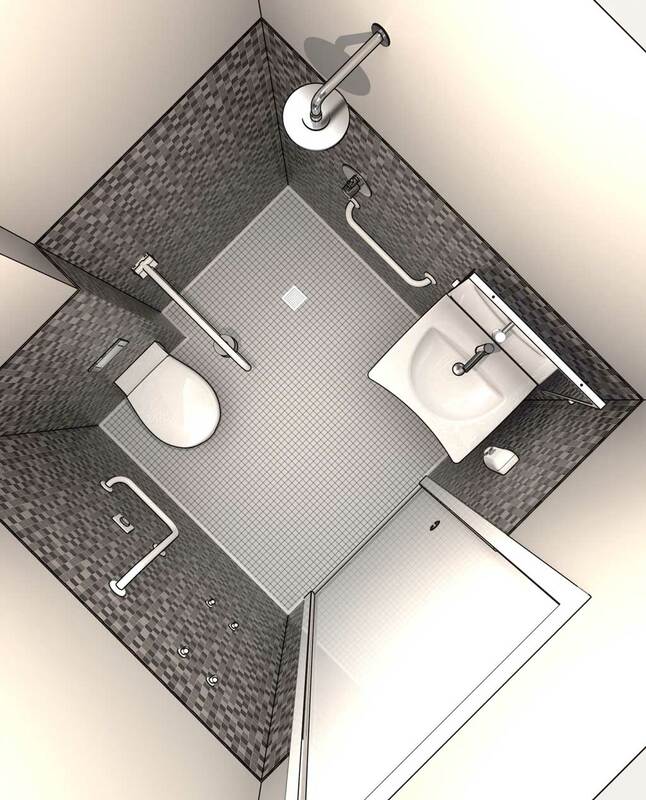 Goman gives not only the necessary assistance to the development and design of bathroom according to the standards, in order to preserve the safety of users, but also gives support to the choice of the most appropriate components for their proper positioning, depending on the project type and context of use. If requested, Goman provides 2D - 3D and 3D Bim elements of its products in order to provide a full service for design. In this way, designers and technicians on field have all necessary support to develop the virtual project. 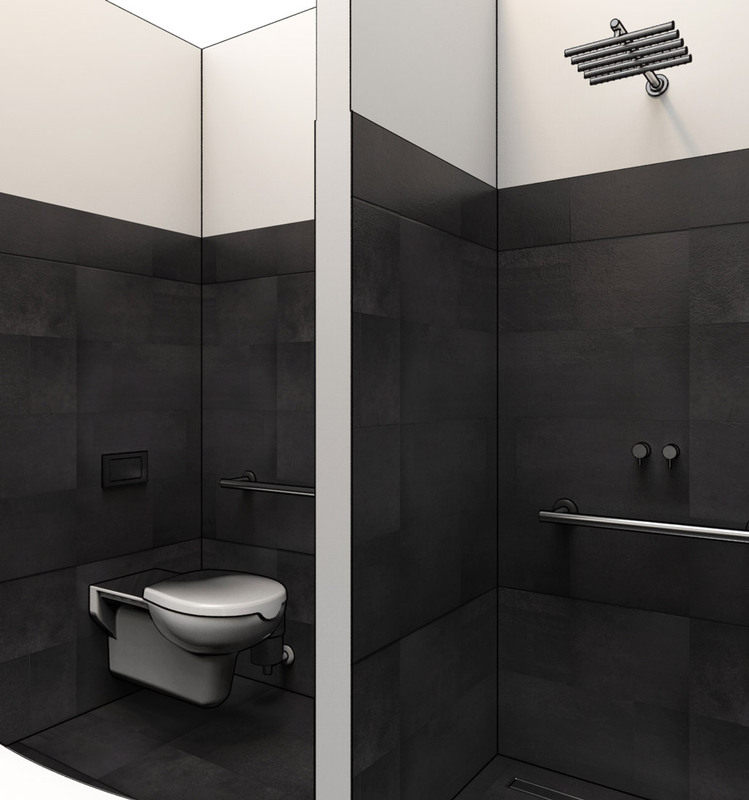 At customers’ disposal there is a complete library of all the elements that can help for the projects in the bathroom respecting the law and the needs of final users. 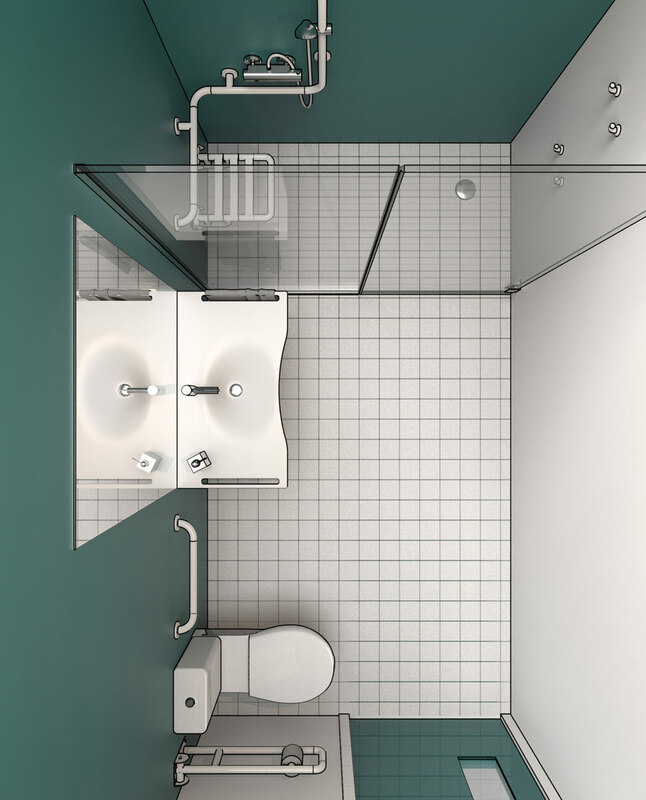 The creation of an accessible and elegant bathroom in small spaces is possible: with the right measures meeting the specific needs of small rooms and you can design an accessible bathroom, simple, elegant and free of discriminating elements. 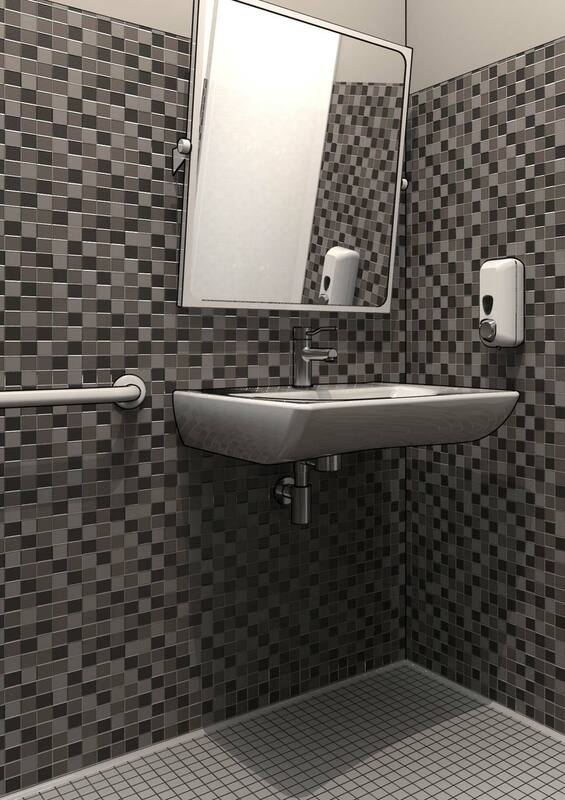 We are able to apply our solutions that combine at the same time the standards and requirements for small spaces. 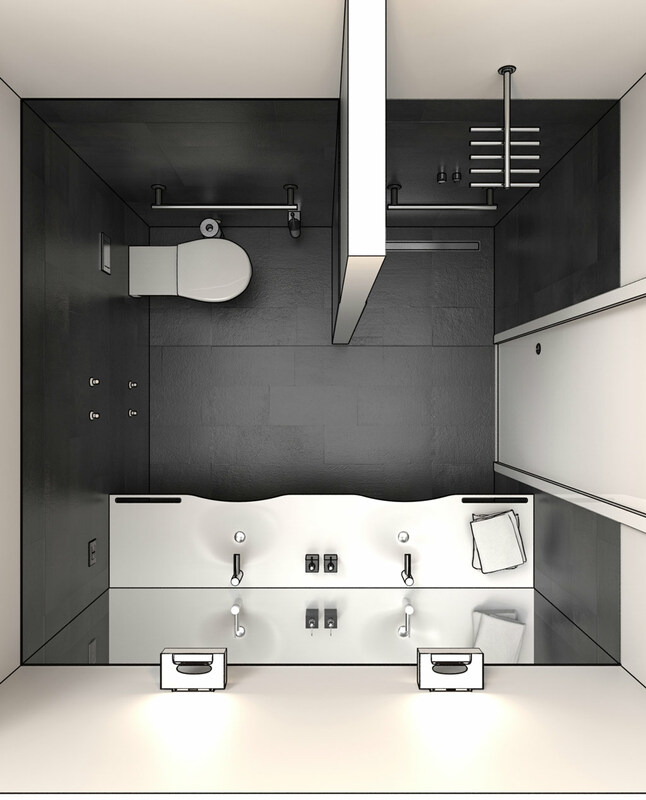 With little suggestion we can create a bathroom according to the aesthetic trends that contemporaneity can offer. 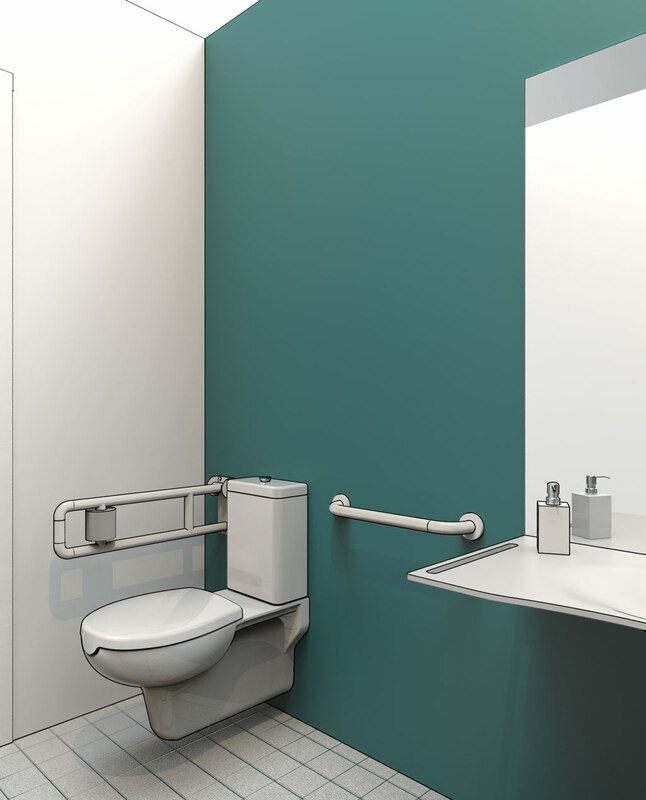 For the creation and installation of bathrooms in hospitals, nursing homes etc .. we aim to improve safety inside the bathroom, without sacrificing quality and looking for a modern taste using technologies that meet the different requirements of everyone. It is important to contribute to the welfare of all users especially in contexts which, unfortunately, very often are characterized by orthopedic elements. In recent years hotels, restaurants and in general all institutions receiving public unfortunately have not often been able to adapt their structures in a satisfactory way in compliance with the standards. 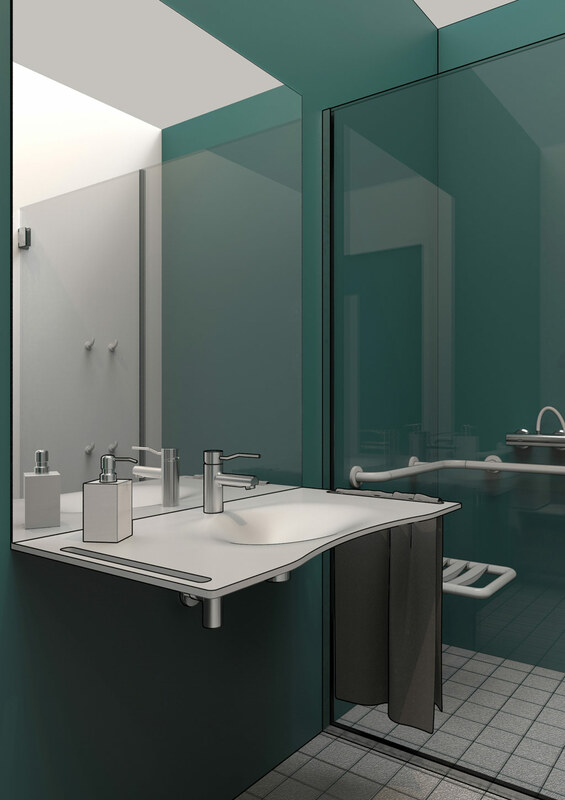 You find here a suggestion of bathroom equipment that shows the real possibility of adapting all holiday structures for disable people respecting standards in complete safety, and able to be used from everyone from children to elderly people.